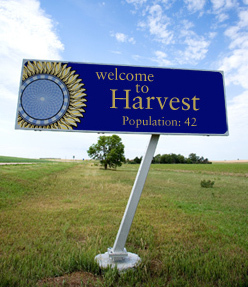 Welcome to Harvest Graphics! To place an order or get help with a new project, enter our Customer Service Center. To learn more about our design and printing capabilities, view a list of our equipment. To find helpful information, search our Resources & Support area. To see some of what Harvest Graphics has done visit our Online Portfolio. WE ARE NOW A FSC® SUPPLIER! Contact your sales representative for more information. Enjoy your visit to our site, and swing by and see us in Lenexa, KS!